Start your own mystical garden with this dragon fly. After exposure to sun or artificial light, turn off the lights to experience the glow-in-the-dark element - a perfect subtlety to a kitchen, nursery, or any room! Pair with the other glow-in-the-dark canvases to create a whole garden scene. 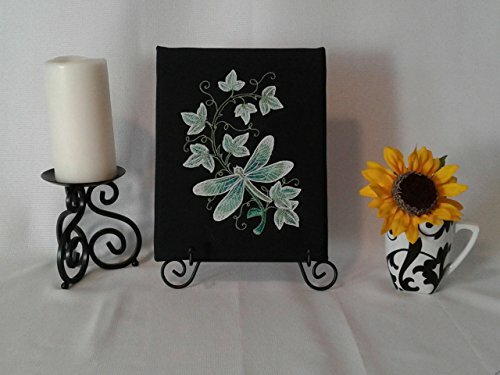 Black canvas is embroidered and wrapped around an 8x10 inch frame. Leave canvas as is or add an 8x10 inch frame to coordinate with your current decor. If you have any questions about this product by Comet Quilting, contact us by completing and submitting the form below. If you are looking for a specif part number, please include it with your message.